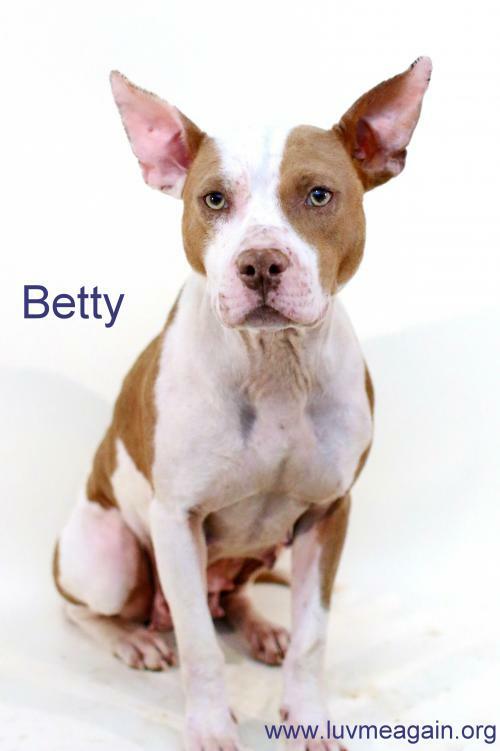 Print an adoption flyer for Betty! About Me: I am the sweetest little girl you will ever meet. I LOVE people. I am a tiny girl, at just 35 pounds, but don't let that fool you - I have LOTS of love to give. I am very snuggly and think I am a lap dog. Are you ready for your best friend? It appears that Betty will NOT be able to attend the event, Adoption Event on Sunday, September 4th, 2016. Currently we do not know if Betty will be able to attend the event, Adoption Event on Sunday, September 18th, 2016. See Betty's attendance information for future events.